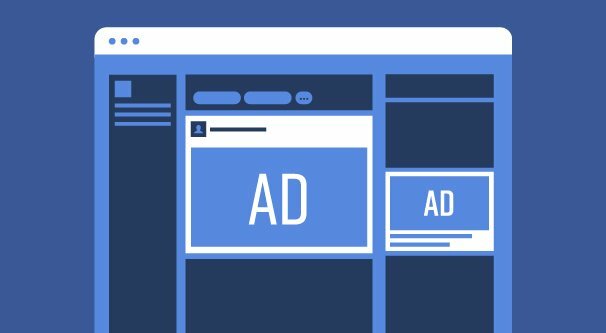 Part of what makes Facebook such a robust ad platform is their variety of different ad types and formats. Each ad type has its own specifications, and there’s a lot of them, so let’s take a look at what’s available. Image-based ads are one of the best ad types for driving traffic to your site. Images stand out from the standard news feed, but they’re relatively easy to create, putting them in the sweet spot between ease of use and attractive complexity. 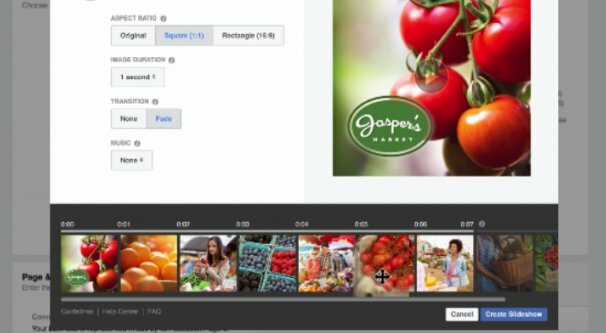 Image ads can be placed in the News Feed, the right sidebar, in Instant Articles, on the Facebook Marketplace, as part of Facebook Stories, in Messenger Stories, in Instagram Stories or the Instagram Feed, in the Audience Network as native, banner, or interstitial ads, in Sponsored Messages, and in the Messenger Inbox. Each of these placements has an array of specifications unique to it. For example, Image Ads in the Facebook News Feed need to be jpg or png files in a 9:16 or 16:9 resolution. The ads can have up to 125 characters of surrounding text, but Facebook recommends little or no text in the image itself. If you’re using a linked Image Ad, the image ratio changes to 1.91:1 to 1:1, with a resolution of at least 1080×1080 pixels. Your headline is 25 characters and description is 30. Additionally, you can use panorama or 360 degree photos in Facebook interactive Image Ads. You can view the technical specifications for each type of Image Ad in each placement, including the different objectives and call to action buttons available for each format, here. Video ads are increasingly powerful due to the broad availability of high resolution video cameras – attached to phones, no less – and they can be as short or as long as necessary. Estimates indicate that by 2021, 78% of all mobile data will be video from a variety of sources. Video ads can be placed in the Facebook News Feed, in Instant Articles, in In-Stream Videos, in the Facebook Marketplace, in Facebook and in Messenger Stories, in Facebook Suggested Videos, in Instagram as both Stories and in the Feed, and in the Audience Network as Native, Banner, Interstitial, and In-Stream Video Ads. As with Image ads, each placement has its own array of specifications. For example, standard Facebook News Feed ads will support most video file formats, but Facebook recommends using H.264 compression with square pixels, a fixed frame rate, progressive scan, and AAC stereo audio compression at 128 or higher kbps. Your video ratio can range between 9:16 to 16:9, and they recommend uploading the highest resolution you can that fits inside their file size restrictions. Files can be up to 4GB in size, with a length anywhere between 1 second and 240 minutes. Captions are supported but optional. Your ads can have 125 characters of text with them. Facebook also supports 360 videos. Like with image ads, if you have a link post with a video, your text changes to 25/30 for title and caption. Also like image ads, you can view the technical details for each ad format in their ad specification page here. Collections are an ad template that includes what is essentially a product catalog. It features on primary image and a selection of other product images, with the option to expand for the user to view the full catalog. Historically, these ads are the best for product discovery. They also work for a sort of progressive storytelling through a sequence of images. 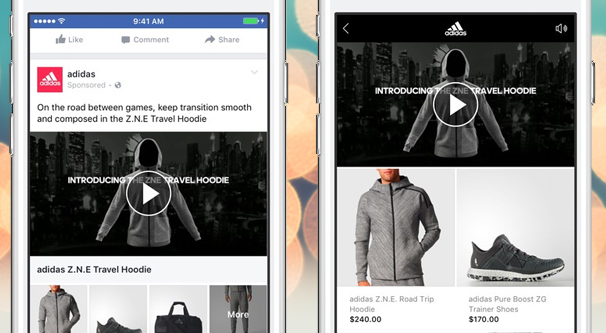 Collection ads are only available to be placed in the Facebook News Feed and in the Instagram News Feed. Because of their unique almost gallery-style format, they need to have a special format that isn’t flexible enough for other placements yet. Be sure to check the technical specifications page linked below in case this changes in the future! 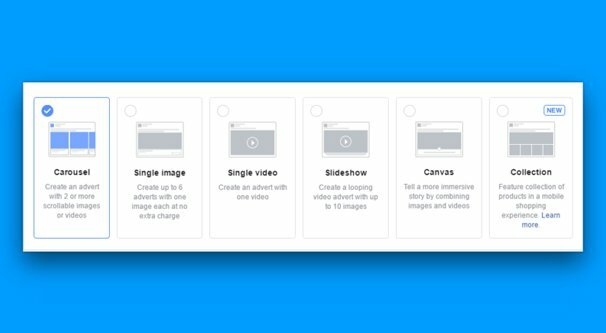 Collection ads can include both images and videos, but unlike image and video ads, you require multiple images. 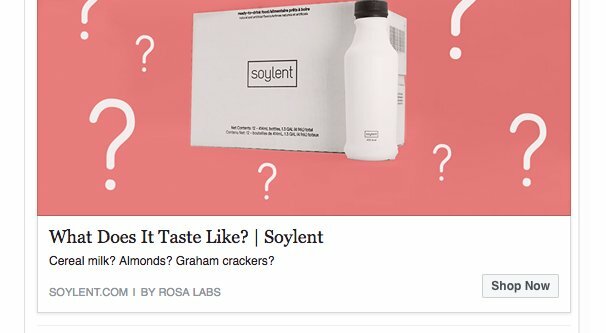 You basically get a text post with an cover image or video, and then a series of images below that can display different products. Your headline is 25 characters long and you have 90 characters of additional text for the post. These ads generally require you to be using Facebook Catalogs as an additional feature that helps sync your product catalog. Additionally, when a user clicks or taps on your collection ad, they will be taken to an Instant Experience. You can view Collection Ad specifications here. In a sense, you can think of a carousel ad as the older version of a collection ad. They are similar, in that they use multiple images to showcase multiple products or angles on a single product. Each image can link to its own landing page and you can track individual click-throughs to each. They are less stylish than collection ads, but at the same time, they have a wider array of possible placements. Carousel ads can be placed in the Facebook News Feed, in the right sidebar, in Instant Articles, or in the Facebook Marketplace. They can also be placed in the Instagram Feed or in Instagram Stories. 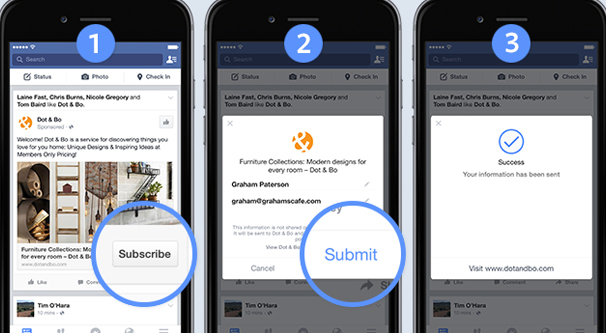 You can also put them in the Messenger Inbox or in the Audience Network as Native, Banner, or Interstitial ads. As usual, each placement has its own array of specifications. For the news feed, you can have anywhere from two to ten cards, with each card operating as its own little image ad. Images can be jpg or png files, while video ads have the same range of specification as video ads up above. You can view the technical specifications for each placement for Carousel ads on this page. Slideshow Ads are an ad format that bridges the gap between image ads and video ads. They essentially use a custom app to turn a sequence of images into a video, similar to how Stories can do it. 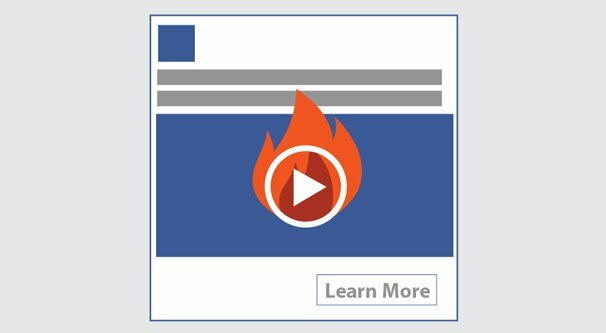 The resulting “video” slideshow can be used in a way similar to video ads, though with a lower dynamic. I recommend slideshows in place of video ads if you don’t have the technology on hand to produce high quality video ads. In an interesting twist, Slideshow ads do not have their own set of specifications. Instead, they share specifications with video ads. This goes all the way down to the technical specifications page, which is actually just the video ads specifications page. 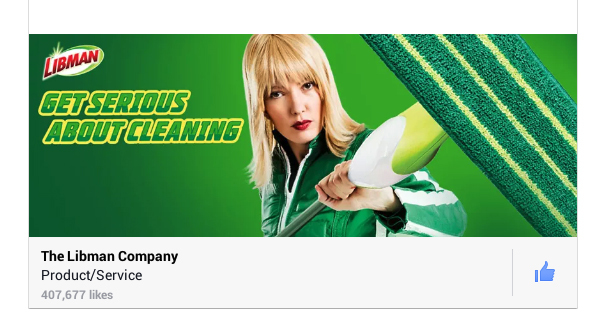 In form and function, a slideshow ad is identical to a video ad in every way. They are simply easier to produce because you’re taking images and making a slideshow video out of them, rather than recording and editing a video directly. For placements and technical specifications, you can refer to the video section above. If you would like to learn about how to make a slideshow, you can read this help center post. You can create slideshows within the ads manager or within the Creative Hub, whichever you prefer. The Instant Experience format used to be called the Canvas format. Instant Experiences are full screen and available on mobile devices. It is essentially a combination of other ad formats, including images, videos, carousels, slideshows, and collections. You can use them to portray a narrative in a way similar to a video or a Story. Instant Experiences include media, but can also include forms and call to action buttons to encourage the user to take action. Since Instant Experiences can include both images and videos, each media format has its own specifications. Experiences can have up to 20 images, with a maximum width of 1080 px and a maximum height of 1920 px. Images can fit to width or height, depending on how you want to configure it. Video can be used to emulate animated gifs. Likewise, videos can be a minimum of 720p in mp4 or mov format. Interestingly, there is no limit to the number of videos you can use in a single instant experience, but there is a combined duration limit; each video adds to a duration total, which cannot exceed two minutes. Instant Experiences also support tilt to pan media. These are essentially large images that simulate using the mobile device as a window, allowing the user to tilt their device to pan around the image. Images can be up to 5400 px wide. Since Instant Experiences are more complex than normal ads, they have their own detailed specification page here. Lead generation ads are a specific format for other ads that allow a user to engage with the ad and presents them with a lead generation form. As such, they can take the form of an image ad, a video ad, or a carousel ad. The difference is, instead of a link to a Facebook page or to a landing page, they open a custom lead form. Lead generation ads can use dynamic forms and can tailor questions to specific ads, allowing you to ask custom questions relating to your topic and your audience preferences. You can add click to call buttons, appointment scheduling directly through the ad, dealer locators for automotive manufacturers, and some other custom formats for specific industries. You can read more about how lead generation ads work by checking out this help center post. The Offer ad type on Facebook is another ad variation, similar to lead generation ads. 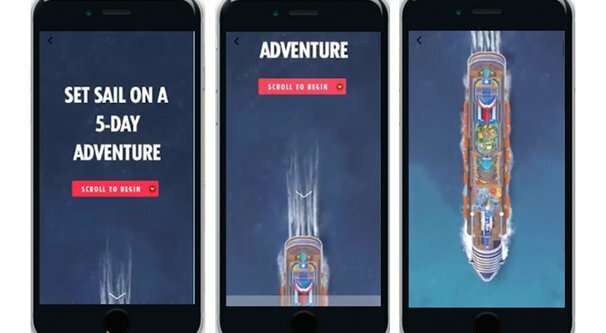 It can function as an image ad, a video ad, or a carousel ad. Instead of directing users through a link to a landing page or to a Facebook page, or asking them for information the way a lead generation ad works, it presents them with an offer. What is an offer in Facebook terms? An offer is essentially a coupon or deal. These can offer a discount on a cost, give a free product, or otherwise give some added value to a user. The twist is that they can be used in-store in addition to online, via a barcode or QR code you set up. Offers can be limited in time or in quantity, so make sure you stop running the ad when the deal is expired. Offer ads also give automatic push notification reminders to people who claim them to make sure they get used before they expire. As usual, Facebook has a page dedicated to the details of offer ads. You can read that page here. 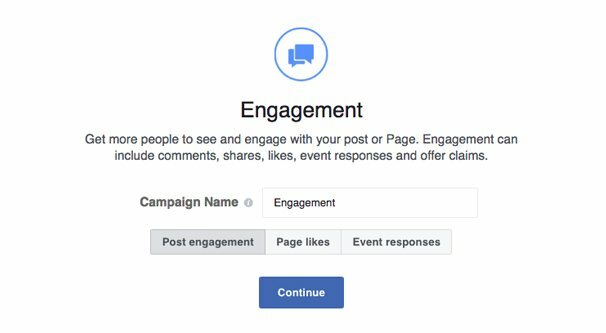 Page Post Engagement Ads are a special ad format that is essentially an organic post made by your page in the news feed. These ads are aimed at increasing the exposure and, more importantly, the engagement within your audience. They promote your post to people who are most likely to be engaging with your posts, regardless of the quality of actions taken after that engagement. These are the ads you run when you want more reactions, comments, and shares on your page content. You can read more about this style of ad here. This is a limited kind of ad format that simply promotes an event page you’re running. 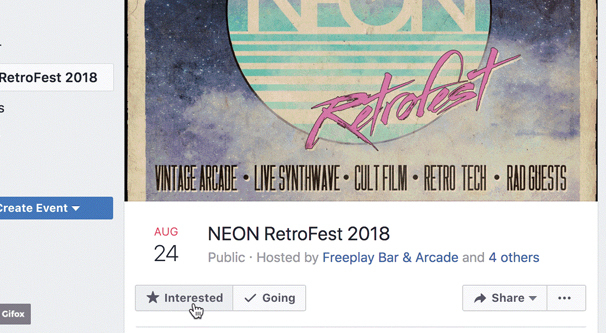 You have to be running the event page on Facebook – it cannot promote an event off-site – and it encourages users to respond to the event, either with a “not interested” or with an “interested” reaction. In the case of users who join your event, it will be added to their Facebook calendar and reminders issued when the event is near. The page for these ads is here. The final ad type on Facebook is the page like ad. These are the absolute most basic kinds of ads, and all they do is promote your page in front of people who may be interested in following you. The aim and objective is to get more people to follow you; no more, no less. You can read about these on this page, though there’s not a lot of unique information to be had.